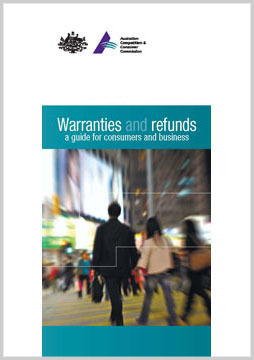 This old booklet explains a consumer's rights regarding goods and services bought before 1 January 2011. On 1 January 2011, the Australian Consumer Law (ACL) came into effect. The ACL introduced a number of reforms, including consumer guarantees. The consumer guarantees replace the existing implied warranties and conditions regime contained in the Trade Practices Act (which has been renamed the Competition and Consumer Act) and in the state and territory fair trading laws.